Bring convenient media storage to your home while infusing the space with a bold yet simple contemporary style. 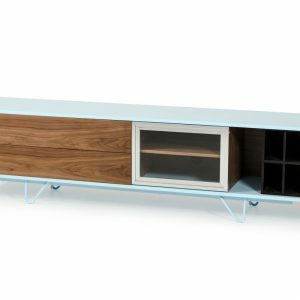 This TV Stand features four storage drawers perfect for movies and small electronics, a sturdy glass shelf in the center and wire management access in the back. 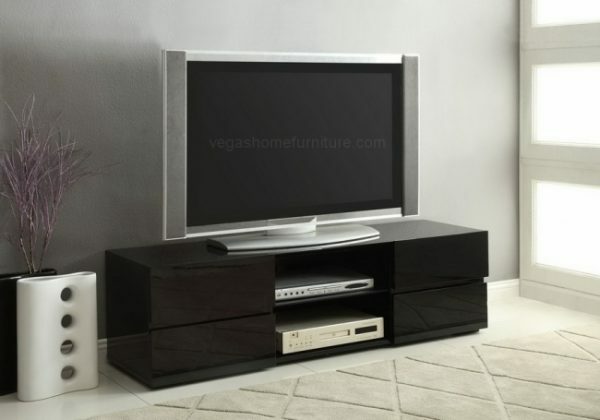 The large top surface provides plenty of space for your television.